Once again there were no jackpot winners in the Mega Millions lottery which means that on Tuesday there is an enormous jackpot worth $160 million. This means that if a winner chooses the cash prize option instead of the annual payments they will receive around $95 million. The mid-week Mega Millions lottery jackpot is worth a staggering $160 million after there were no winners over the weekend. On Friday night one player managed to match five numbers and they will receive $1 million. Another 5 Megaplier players matched four numbers and the bonus ball to win $10,000 while 38 players matched four numbers and the bonus ball to win $5,000 each. There were over 2 million winners in total that that won prizes of at least $1. In order to win a prize in the Mega Millions players need to match at least the bonus ball. Without matching the bonus ball players need to match at least three of the regular numbers. The jackpot is won by matching all five numbers and the bonus ball. Jackpot winners have the choice between receiving a lump sum payment or taking one immediate payment and receiving the rest of the prize in 29 annual payments. 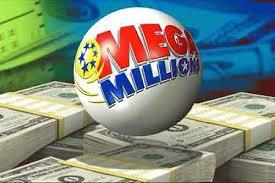 Tickets for the Mega Millions can be bought in thousands of vendors across the US or online and cost just $1 per line.